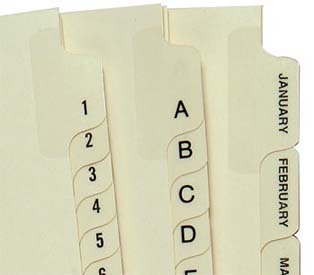 Kleer-fax Pride Series Preprinted Ringbook Indexes with Laminated Tabs are a quality product with an economy price. Preprinted Mylar® tabs offer extra durability. Clear Mylar® reinforced binding edge. Tabs are printed both sides in black ink. Kleer-fax items ship separately. Please allow up to 2 additional days for delivery.